Mark it down in your agenda! Set an alarm! This is something you really don’t want to miss! 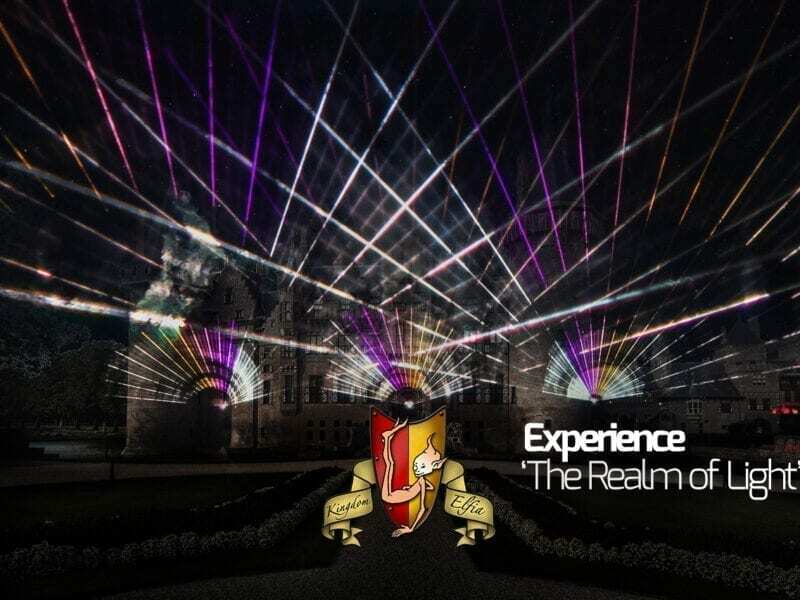 This year, the laser show will projected on the castle. Sit down in the grass and let ‘The Realm of Light’ tell you the sequel story of the two brothers. Where have we left off after last year’s laser show? The previous chapter, The Elfian Redemption, told the story about two brothers. One good, one may be evil? Both were wounded and turned each other a cold shoulder. Later the good brother, Gorduk, fought to lift the curse that changed his brother Gremory. Gremory lost his powers and to redeem the peace once again, Gorduk raised his sword. Gremory begged for mercy. Did Gorduk kill Gremory? Was the spell lifted? Has peace returned to Elfia? Let’s find out on Saturday. On Saturday, you can watch the laser show both at 21.00h and 22.00h. Check the timetable to plan your day. You can watch from the Royal Balcony (8), the Magic Grounds (10) and even all the way from Elfia Square (11). See the map for the best options. Note: because of the preparations to the show, the stairs to the castle will be off limits on Saturday after 18.00h. Please keep in mind that the shows last 10 minutes and the last shuttle bus will leave at 22.30h from the parking lot in front of the entrance.